It was hot and humid after sunset in the wetlands and forests of Keoladeo National Park. After sunset the wild Indian Peafowls (Pavo cristatus) flew to the top of the trees to avoid being caught by the nocturnal predators. 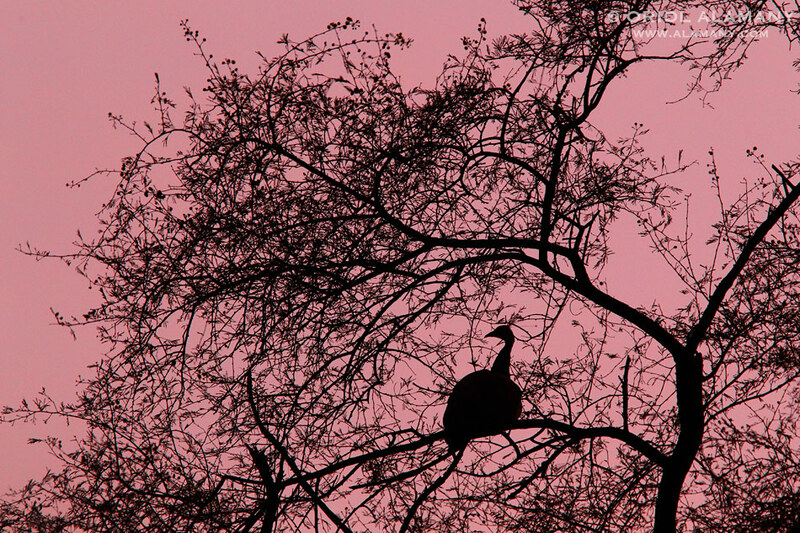 For a moment his silhouette within the branches reminded me and Indian embroidery.